Because I don’t have enough hobbies, I bought myself an early Christmas gift from Mr. Diva. 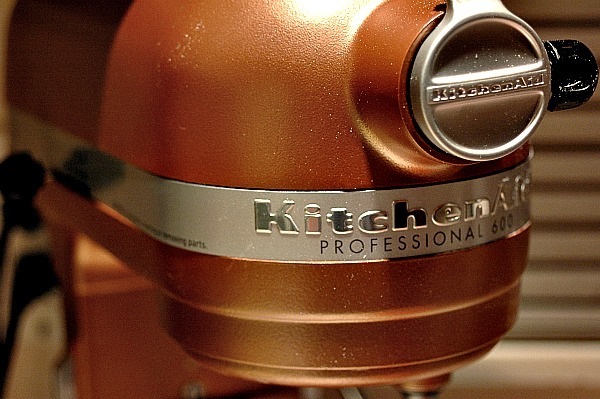 And yes, it is BRONZE to match my kitchen. Determined to justify this purchase, I proceeded to make some sugar cookies. 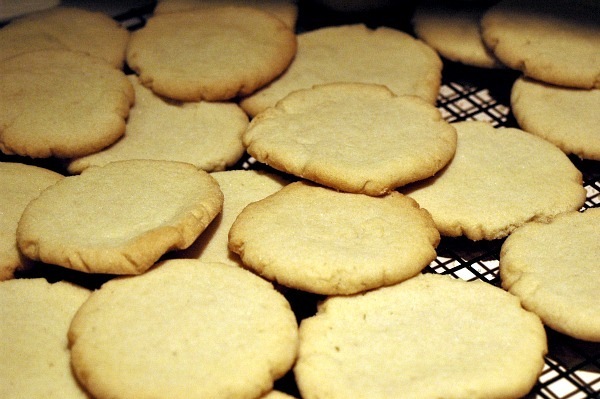 The first Sugar Cookie recipe I used was from the Kitchenaid Mixer booklet that came with the mixer. Conclusion: Rock hard bland cookies. Total FAIL! Next up, I mixed up at batch from a recipe at Allrecipes.com which received great reviews. These cookies were at least edible, but not yummy like I had hoped. Another FAIL! I’m going to try this recipe from Moms Who Think which uses half-n-half and this recipe from The Kitchn which adds lemon zest, almond extract and cream cheese. I’ll let you know how they turn out. 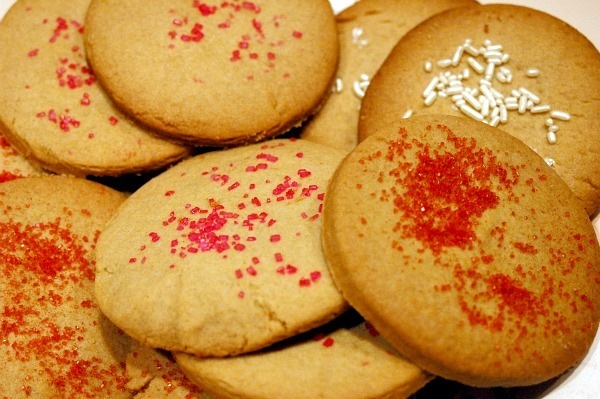 Do you have a great Sugar Cookie recipe? On a brighter note, I made homemade mashed potatoes for the first time in my life. The mixer whipped them up effortlessly! They were delicious! What do you make in your mixer? I need ideas so my mixer doesn’t become a heavy paperweight (like my crock pot) on my kitchen countertop. I make everything in my mixer. Irish bread. Challah. Meatloaf. Mashed potatoes. Be careful with whipped cream….it goes like this….nothing nothing nothing nothing nothing nothing nothing nothing nothing nothing nothing nothing nothing nothing nothing nothing nothing nothing nothing nothing nothing nothing nothing nothing nothing nothing nothing nothing nothing nothing nothing whipped cream butter. Watch it like a hawk! LOL Colleen…I’m guessing you had a little mishap with the whipped cream?! Homemade Marshmallows? Really? Give me a recipe and I’m on it! LOL! The very BEST ever sugar cookie recipe! I promise! Cream cheese gives sugar cookies a marvelous flavor. It also makes the dough softer and stickier. The dough needs to be cold when these are rolled out; if it begins to stick, return it to the refrigerator for a while. This dough is used in Shining Star Cookies. On medium-high speed, cream butter and cream cheese until smooth. Add sugar and cream until light. Beat in egg yolk, vanilla and orange extracts, and salt until well blended. Add flour and beat at low speed until flour is thoroughly incorporated. Dough will be soft and sticky. Divide dough into 2 parts and scrape onto plastic wrap. Wrap tightly and refrigerate for 6 to 8 hours or overnight, until firm. Roll out on a floured board or pastry cloth to 1/8-inch thickness. Cut into shapes as desired. If dough begins to stick, return to refrigerator until it firms up again. Bake on lightly greased cookie sheets in a preheated 350-degree oven for 9 to 12 minutes, depending on size. Or, cut and bake as directed in recipe. Here is the recipe I use after trying many other recipes. Cream margarine, add sugars and mix well. Add eggs, oil and vanilla extract. Mix well. Note: This dough is very soft – I roll it between two sheets of waxed paper, using chopsticks to get it to the right thickness. Then cut using well floured cookie cutters and well floured spatula to get it to the baking tray. thanks Vicki! I am definitely going to try them! I’ll let you know how they turn out! Thanks Lisa! Can I substitute BUTTER in place of the Margarine? I never use margarine…LOL! Creammargarine & sugar. Add egg, beat til fluffy. Add vanilla. Sift dry ingredients together. Add & mix well. Chill for several hours, the longert he better, & roll 1/4″ thick. Cut & bake 10 minutes@ 350 F.
These cookies have a delicate, lighter flavor from most sugar cookies. The dough is very soft & hard to work with unless thoroughly chilled. Can also be made as drop cookies. I have made these with butter too & can’t tell any difference. Thanks Carmen! I’ll give it a try! I just love Christmas. Not for all the gifts or the “idea” of Christmas but for the colors and the energy that is given off. I get so excited when I know it is almost time to get out my chirstmas tote and decorate. This year is even more special because my husband and I have our first child that we are able to celebrate with! I just want to get out my lights now! I mix any and everything in my KA stand mixer! I second the marshmallow suggestion, It’s one of those things that takes endless mixing and the stand mixer is the way to go! I personally love a good quiche, as does Chops, so you know I’m throwing like a dozen eggs in that big ol bowl…and my chocolate chip cookie recipe that used to practically break my arm? NO SWEAT for Erik the Red (yes, my mixer has a name) I even use it for cake mixes from a box! Lady M…I think Mr. Diva is surprised I’ve been using my Kitchenaid mixer a lot. He thought it was going to become a paperweight for sure! LOL! Please note that Vicki Gore’s Cream Cheese Sugar Recipes is my recipe, from MakeGreatCookies.com. I appreciate the praise and don’t mind sharing recipes, but please give credit where it’s due. Duly noted! I apologize for not knowing. BTW, great cookies! Thanks for sharing your recipes! They look soo good. Thanks for the post!